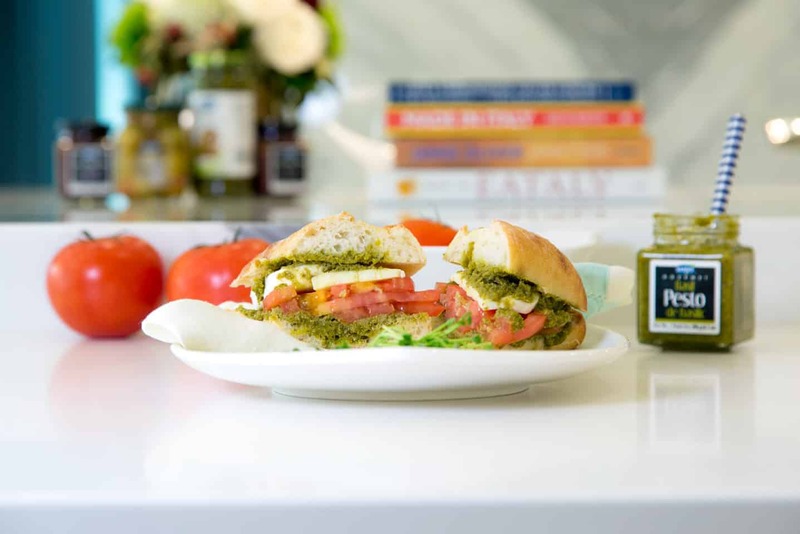 Spread basil pesto on the inside of both halves of each bun. Layer the cheese and tomato slices as desired for each sandwich. Close the bun, slice in half and enjoy!